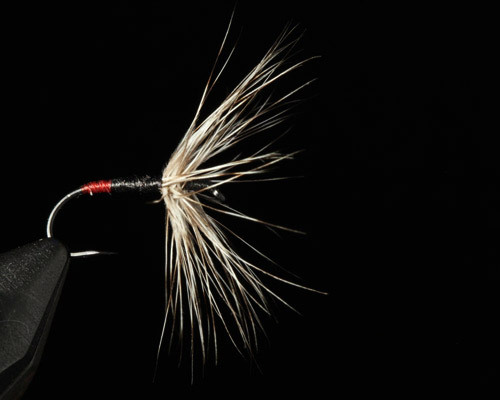 Rick Setina tied the fly below and says “I chose the sakasa kebari with a black body and a red tail section. I used grizzly hackle because that color combination did so well last fall in the high sierra mountains of Mammoth Lakes. 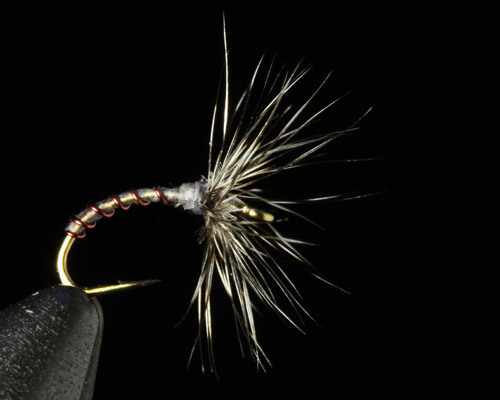 I try to make my flies fairly bushy as far as the hackle goes. I feel the more action the feathers produce in the water the better it attracts fish.” I think this would work very well on a fast flowing mountain stream as well.